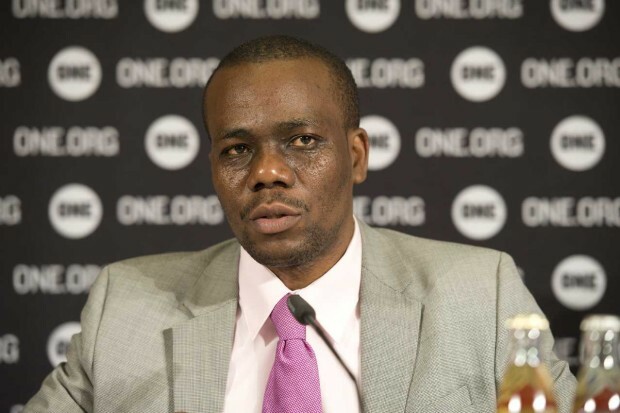 Tanzania MP Zitto Kabwe has been outspoken on the development of the country’s gas sector. Natural gas is on the scene in Tanzania, and expectations are sky high. There are those who see this as the end of aid dependency, or the solution to the government’s perennial money troubles. And of course, there are others who see this as a personal opportunity to get rich quick. But not everybody’s expectations can or will be met. Nobody knows exactly how much gas there is in Tanzania, though the latest discoveries brought the estimated deposits up to 51 trillion cubic feet (tcf). Equally, nobody knows how much of this it will be possible (and economic) to extract, and how much revenue will flow to the government as a result. More money for schools, hospitals, roads, etc. – so it’s all good then. Not so fast. As strong as the economic potential may be, unless the politics are right, the opportunity could easily be wasted. There are worries that the Tanzanian government lacks either the capacity or the will to negotiate deals with investors that protect the interests of the Tanzanian public. When a Production Sharing Agreement (PSA) between the state-owned Tanzania Petroleum Development Corporation (TPDC) and the Norwegian firm Statoil was leaked a couple of weeks ago, it revealed contract terms that are significantly less favourable to the government than had been expected. The terms were less favourable than either those of TPDC’s model PSA or the assumptions used by the IMF in their analysis. Exactly how much this contract will cost the government depends on how much gas the company produces, but it could easily be in the hundreds of millions of dollars per year. If production reaches 500 million cubic feet per day, the government could be losing as much $400m per year under this deal, compared to the model PSA. If production reaches 1,000 million cubic feet per day – which is very possible – the loss rises to over $900m per year. And that’s just from one deal. Another indication of the scale involved here is that since the Norwegian government is Statoil’s majority shareholder, the extra revenue to the Norwegian government from this deal could be worth more than double the total of all Norwegian aid to Tanzania since independence. But perhaps just as worrying is the resounding silence that met the leak. It has not been covered in the Tanzanian media, even when reporting on gas-related issues or Statoil’s other activities. And aside from a brief reference in a relatively obscure parliamentary committee report (pdf, Swahili) (which itself did not attract media coverage), no leading politician has stood up to publicly make noise about the deal. Those in the know are discussing it in hushed tones on the side-lines of meetings, in the more private corners of social media, or in coded language. The vast majority are not in the know. This does not bode well. One of the big political risks with oil and gas is that it can be seen by politicians and senior officials as “˜easy’ money that doesn’t come with the kind of scrutiny that taxpayers demand when they pay their taxes and donors demand when they provide aid. Unless somebody – the media, politicians, civil society – steps up to fill the gap, decision makers in government will be left free to make whatever decisions they choose, unencumbered by any need to protect the public interest. The Statoil PSA may well have cost Tanzania several billion dollars – yet it appears no-one is trying to hold those responsible to account. So why the silence? It may be that the media and the politicians don’t understand the significance of the deal, don’t have the capacity to pick apart the leaked PSA’s legal language to find the meat. It’s certainly not easy to do. Alternatively, it may be that they don’t care. Or it may be that they are scared. “Not a single developing country that derives the bulk of its export earnings from oil and gas is a democracy,” wrote Larry Diamond and Jack Mosbacher. In Tanzania, I fear we may be about to find out why. Ben Taylor (@mtega) is an analyst and blogger, writing mainly about Tanzanian media and politics at mtega.com. He works for Twaweza, but writes here in a personal capacity – his views do not necessarily represent those of Twaweza. These figures are calculated based on 500MMscfd / 1000MMscfd of “profit gas”, which refers to the value of gas produced after the company’s costs have been deducted. Statoil has a 65% stake in the PSA, of which the Norwegian government owns 67%. The calculation is therefore as follows: 65% x 67% x $900m x 15years = $5.9bn. Norway has given approximately $2.5bn in aid to Tanzania since 1961 (Source: World Bank). Much as we see it as a blessing…..i wonder whether we are taking necessary precaution for it not to turn into a curse. I see it.coming. Hahaaa…there is no free lunch in thia world. They had given us aids and whatever. Now they are taking what they invest in our countries. I wonder why and how prominent leaders ofAfrica and even here in Tanzania dont talk about critical issues as how the investment will lead to unemployment and displacememt followed by increasing costs of living. I am just not surprised! In a country laden with precious natural resources, wild-dog-minded leaders are reaping us of our rich inheritance with stupid and foolish commitments made under rubbish contracts. Who prepares these deals? Do all relevant executives and specialists in the industry consulted before these deals are signed? Couldn’t we, with simple support say from China, purchase our own Mitambo and make sure our own Fundis have the high-end technical know-how to explore, drill, harvest and distribute the gas and oil? It would have taken some significant time to pull this thing off but we would be better off instead of selling our backyard and front-yard economy leaving ourselves perched in a tree hoping for a warm night sleep! This is pretty irresponsible and totally injudicious to poor hard-working citizens of Tanzania. Somebody ought to condemn these ill-advised actions. Or do we need to wait until election year? I am gutted! Simply heartbroken! Tanzania is of course not a democracy, but a neo-colony of the British and the US with a parasitic and corrupt elite in bed with the imperialists. Funny the ‘free’ media ignoring this blatant exploitation; perhaps because its not China. Rather than ‘waiting for God’ to save you, follow the example of the Venezuelans and Bolivians and take to the streets, develop politics and organise to remove these parasites and their imperialists backers.